Being a radiation therapist for the past five years, I’ve seen a lot of patients come and go through treatment. As most people in the field, I chose a career in oncology in order to help people in their time of need; having seen many of my own loved ones go through their cancer journeys as well makes me that much more motivated. Our patients are some of the strongest and most influential people I have had the opportunity to meet. Their bravery through the diagnosis, the unknowns and the tests and also through treatment, they have a confidence I cannot even describe. But having ringside seats to peoples cancer journey, I know it isn’t easy. When our head and neck patients come in for radiation treatment, they are expected to place an unwavering faith in the hands of their radiation therapists. Having to be strapped into a bed with an immobilization device is a frightful concept at the best of times, but these people have been through so much already, and sometimes the mere idea of a mask is absolutely terrifying. And to aid in matters, it’s not just once we ask this of patients, but it can be upwards of thirty treatments. Having claustrophobia myself, my heart bleeds for these people. It’s particularly in these instances that I want to do what I came into the career to do; I want to do anything I can to help. 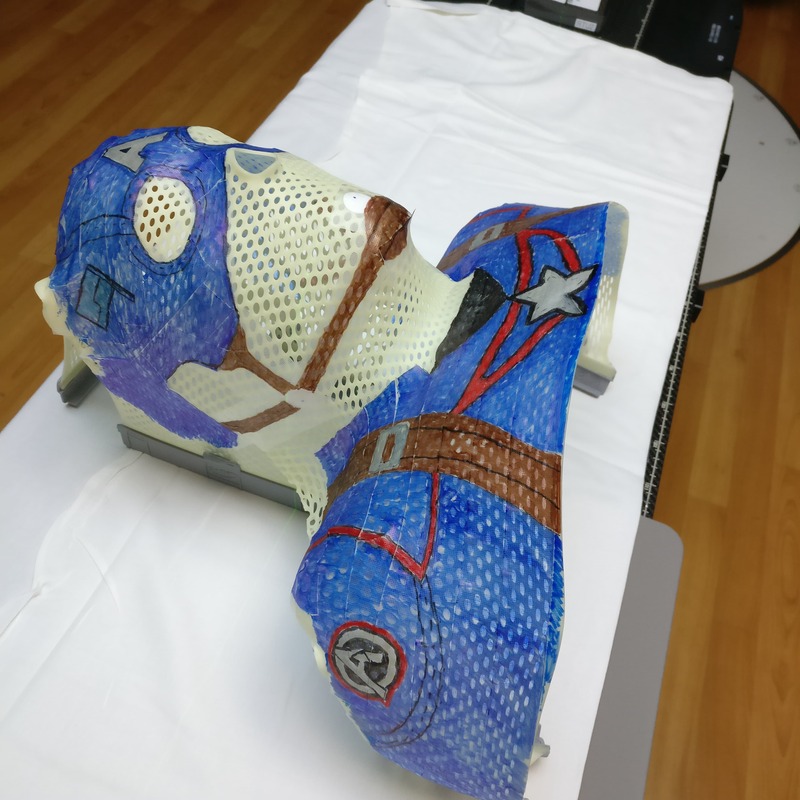 Having a burning desire to assist others, I try to help my patients as much as I can when fitting them into their masks, but some days it’s harder than others. Talking to the brave folks I see, on occasion, there are comments made about the fear of the mask and of being left alone in the room for treatment. Being mildly creative, I have had the pleasure of aiding a few of these brave souls. 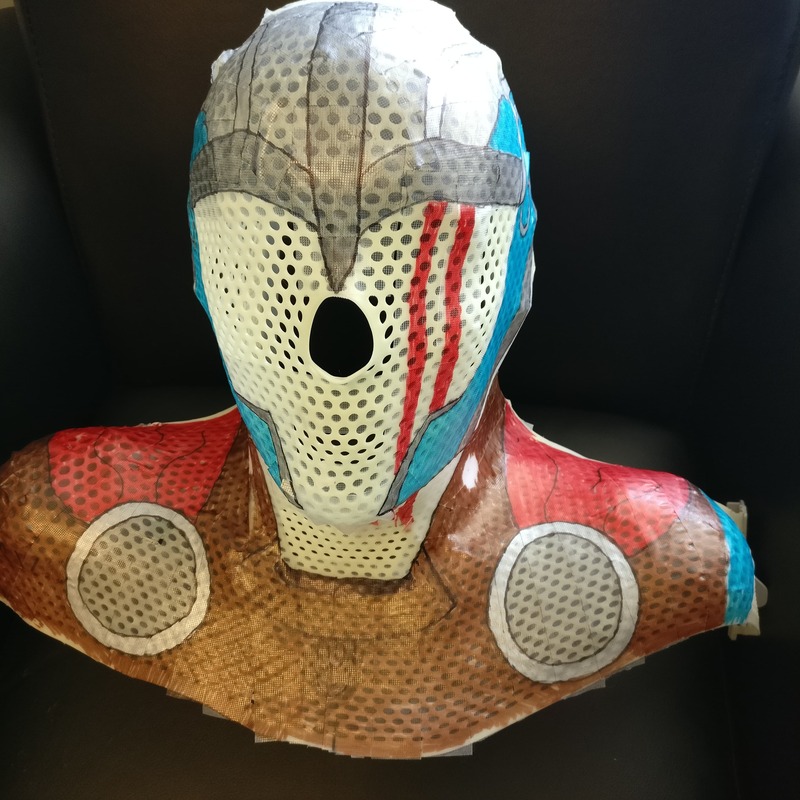 The Orfit mask that we use for paediatrics have often been our departments focus to design, knowing that this population typically benefit from something more visual to get them through treatment, but I have expanded my abilities to the adult population when I am able. These people need to know that they are in good and caring hands and that they are strong enough to make it through to the next stage of their journey. 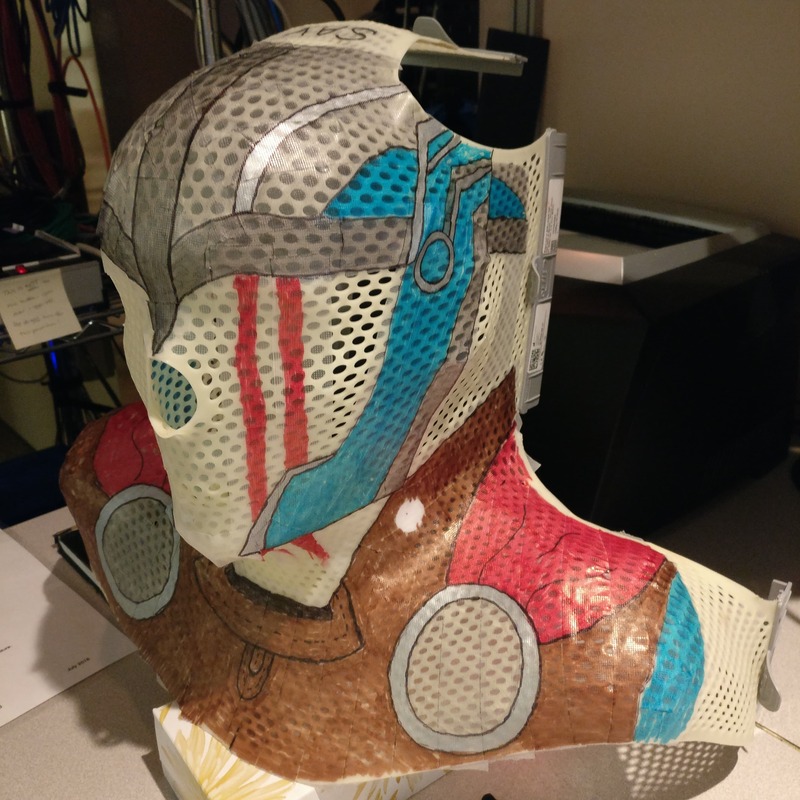 Decorating these masks has been an absolute pleasure, and seeing the confidence of my patients is more motivational than I can ever describe. I am proud to contribute to my department, and I intend to continue to utilize every tool in my toolbox to assist as much as I can. 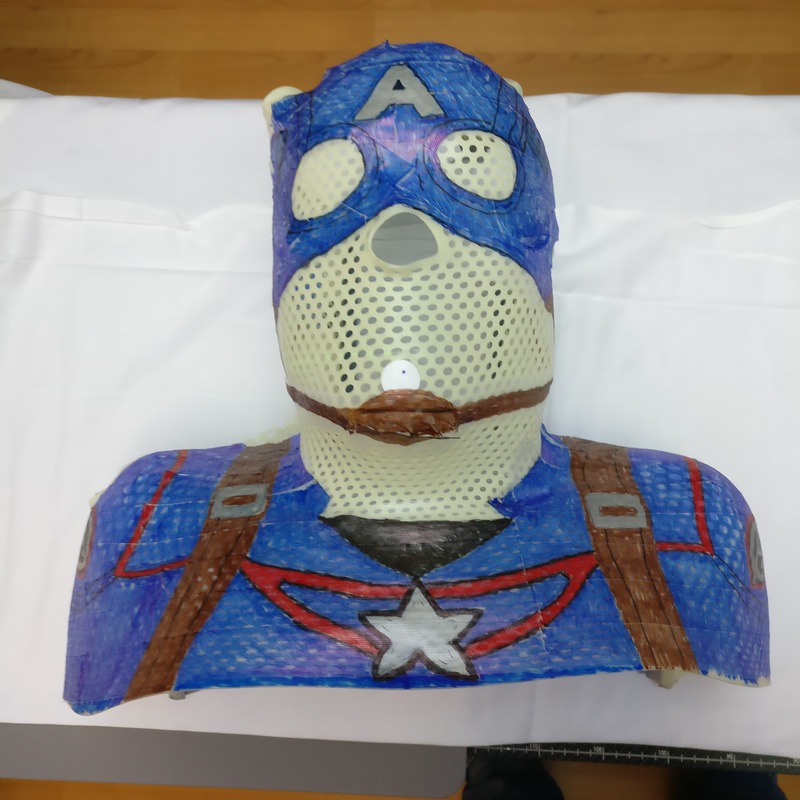 We would like to thank Brittany Pyper, for her testimonial on what being a radiation therapist entails and sharing her beautiful mask decoration designs. Brittany Pyper MRTT, is a radiation therapist at the Tom Baker Cancer Centre in Calgary, AB in Canada. Share your own story about your career in Radiation Oncology.